This entry was posted in General Fantasy, Other Authors and tagged Alon Shalev, ancient languages tweed, At The Walls of Galbrieth, author, Berkeley, Book 4, C.S. Lewis, chessboard. Knights, coffee shops, dragons, dwarves, dynasties, elfwriter, elves, English pub, ents, Eric HOffer, Eric Hoffer Book Award, giants, Gods of Fantasy, hobbits, king, marsh-wiggles, Middle Earth, minotaurs, Narnia, Oxford, pawns, philological, philosophy, Pipe, professors, semantics, social justice, storytellers, The Eagle and Child, The First Decree, The Inklings, The Lamb and Flag, Tolkien, Tourmaline Books, unicorns, Unwanted Heroes, world-building, writer's groups, Writer's Heaven, Wycaan Master, Wycaan Master Book 1. Thank you for such a fun piece! 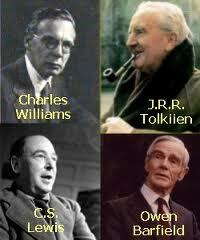 I have the utmost respect for the great authors that paved the way for us. 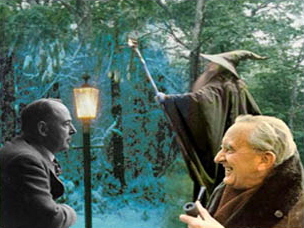 In fact, Tolkien taught me that it is more than acceptable to create my own world. I wouldn’t be where I am today without his inspiration! 😀 Nice post! Great post…here’s to the fellowship of the gods of fantasy!! I’m currently living in Oxford, and I’ve been to the Eagle and Child. It’s got a lot of little dark nooks, very hobbit like 🙂 It’s pretty awesome to think that Tolkien used to hang out there! Jealous! I do hope to get there. Will be in England every summer now as my parents age and certainly plan the pilgrimage. Did you receive my post about “The gods of the Fantasy” and The leaf of Niggle? Afraid not – been a tough few weeks (lost someone). My apologies. Please feel free to reach out to me at anelfwriter at g mail dot com.